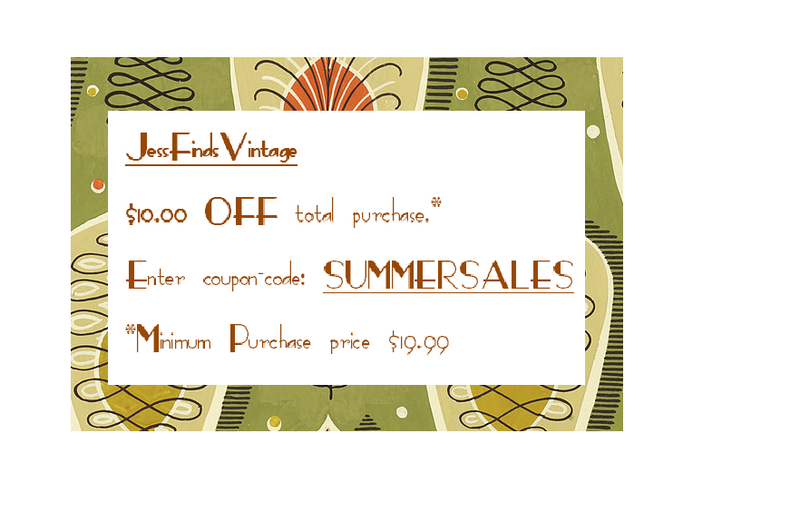 JessFindsVintage is having a STOREWIDE CLEARANCE. 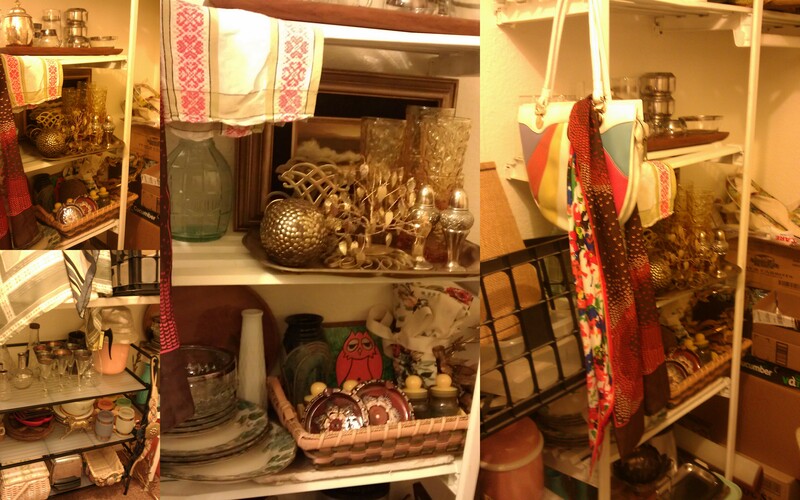 20% OFF all your vintage needs. Comments Off on 20% OFF SALE STOREWIDE. Dorothy Thorpe vintage glass flared salad bowl with thick silver rimmed edge. 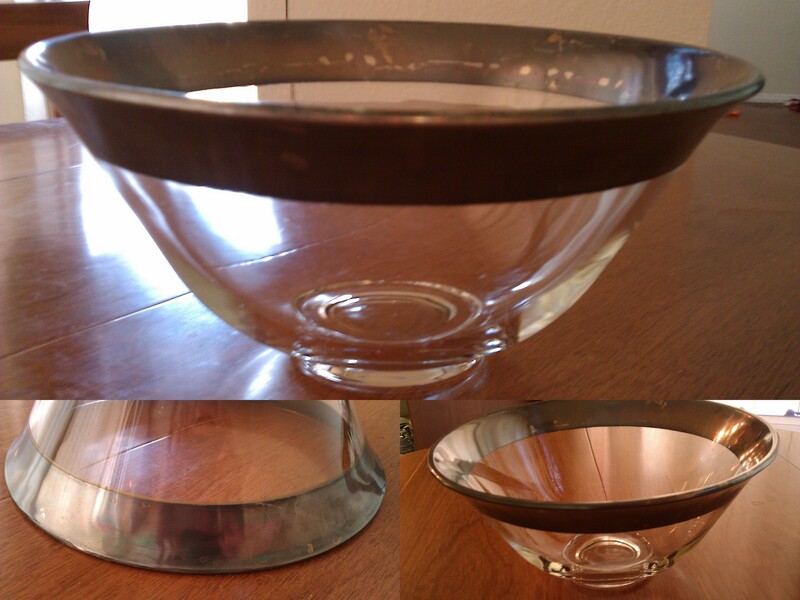 It is heavy glass serving bowl. 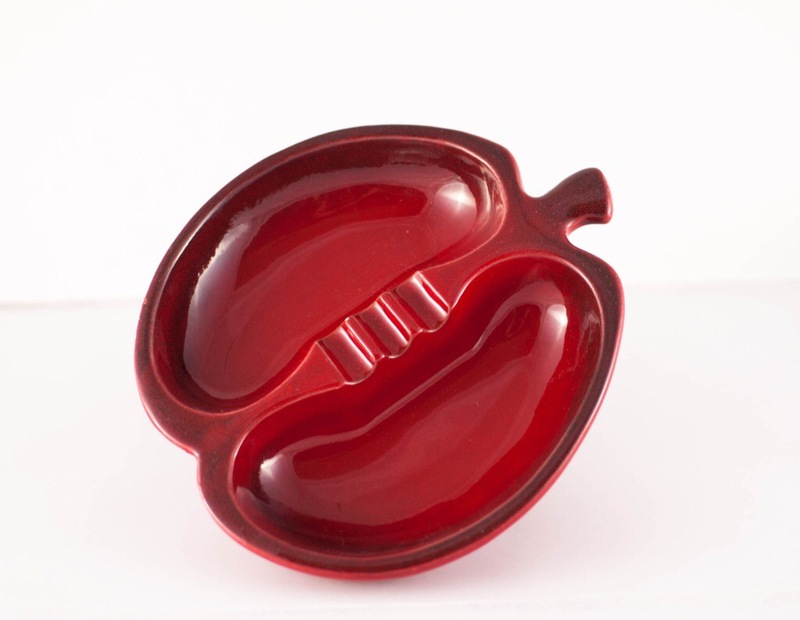 Perfect for salads, chips or fruit. The glass is in perfect condition, no chips or cracks. The silver has patina and could be polished it the buyer likes. I prefer the vintage look. There is one edge that looks like the silver has been rubbed or scratched off. shown in pics. It is still a gorgeous bowl. Vintage Dorothy Thorpe creamer pitcher and sugar bowl in the silver band pattern made famous by Mad Men. 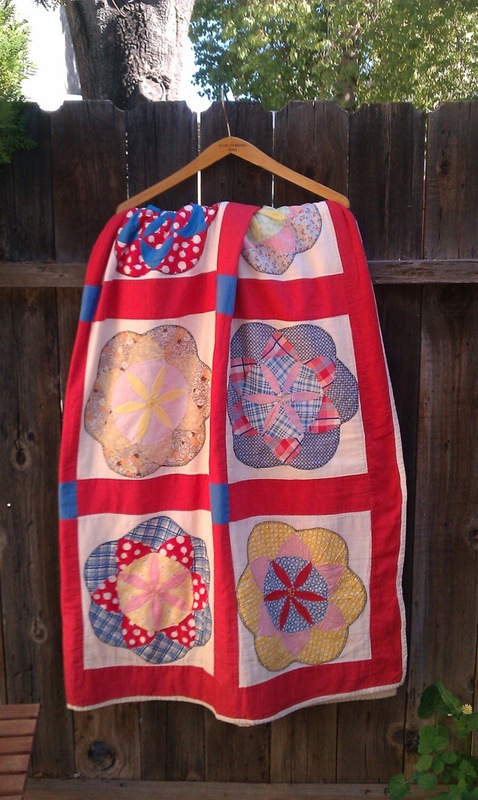 This is a must have for that lover of all things vintage, retro and modern. Perfect to serve cream and sugar for coffee or tea time. 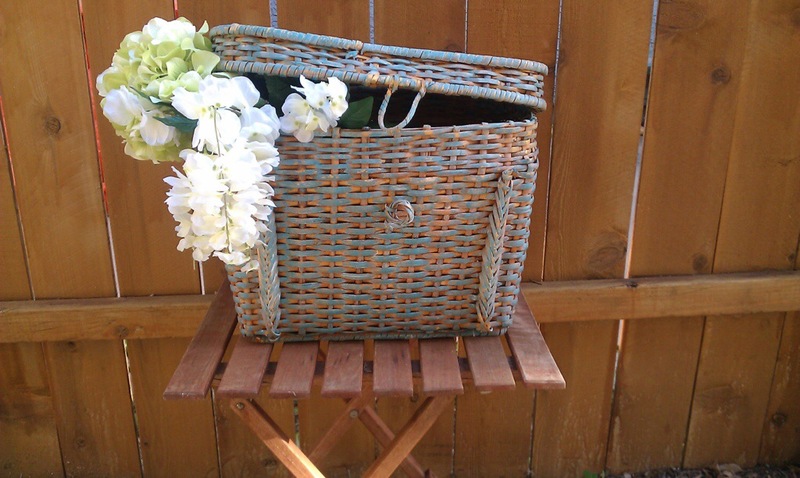 These will add a modern touch to your Mid Century Modern home. Put these on a silver tray with a carafe of coffee and impress your guests. In wonderful shape, no chips or cracks. 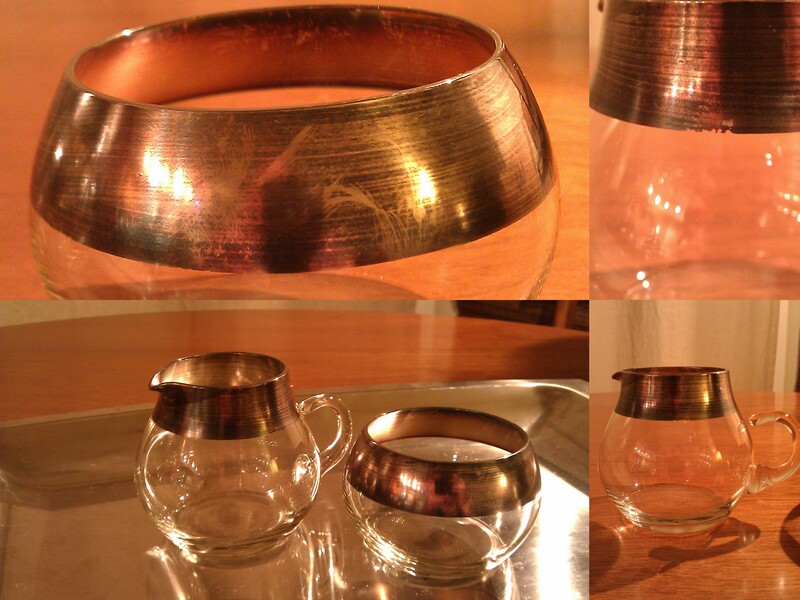 The pitcher has a small rough edge on the silver band, shown in pics. They have the signature patina that most Thorpe piece have. 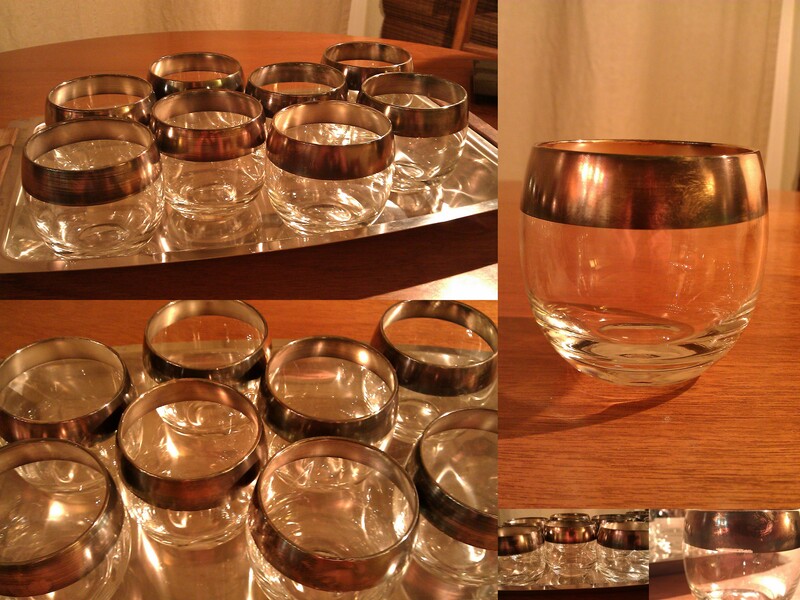 8 REAL Dorothy Thorpe Roly Poly bar-ware glasses with the Silver Band pattern. These were made famous by the AMC show Mad Men. They are made by acclaimed designer Dorothy Thorpe and have the classic 1″ real silver band. They have the signature patina seen in Thorpe pieces. These are a MUST HAVE if you are a Mid Century Modern home decor fan. 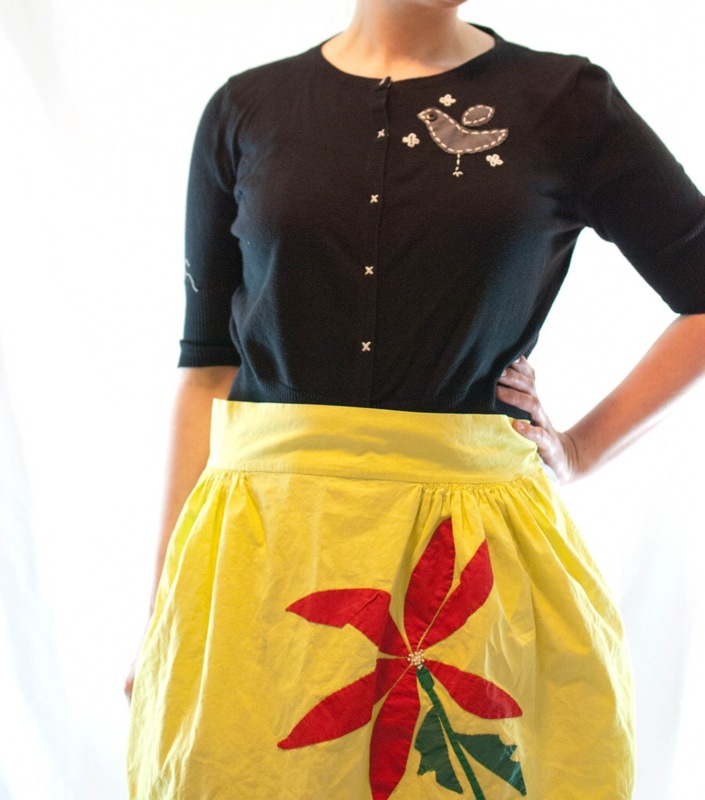 Perfect for your retro, vintage bar. Serve your Jameson on the rocks in these and feel like Don Draper. They are in very good shape. No chips or cracks. The silver is patina-ed. Some have a few rough edges on the silver. One is shown in the pics, the one shown is the worst of the rubbed off silver(email me if you’d like a pic of each glass). Hand wash only!! They can be polished to have the sparkling new shine but I prefer the patina, your choice!